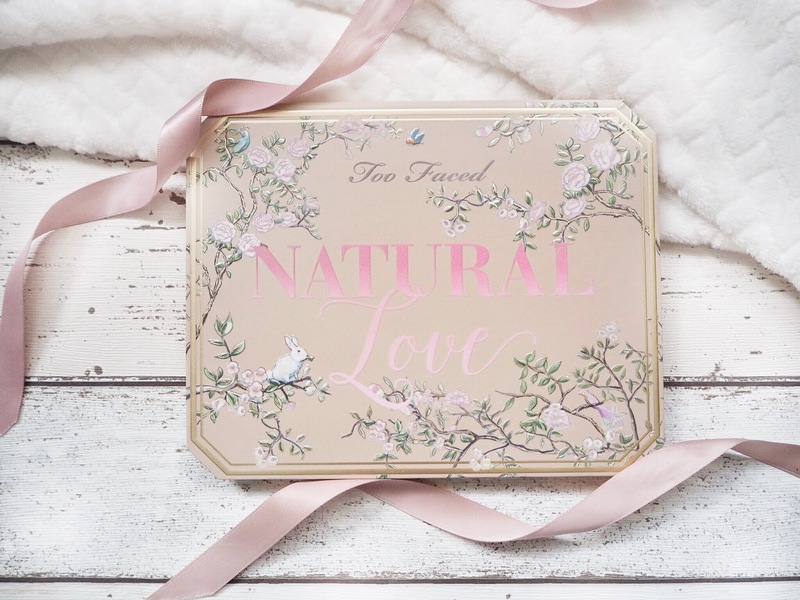 A few weeks ago I treat myself to the mother of all palettes... the Natural Love palette from Too Faced. 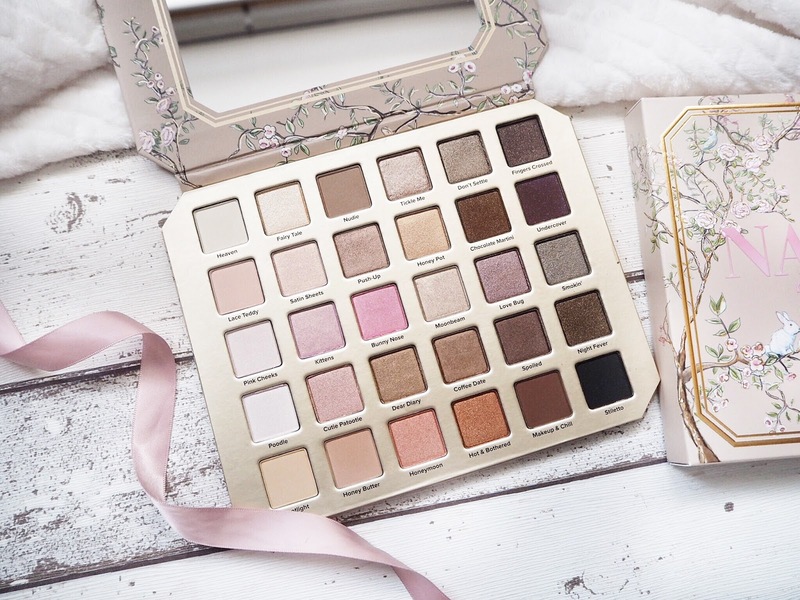 This is a new launch from Too Faced and as their Chocolate Bon Bons palette is already my most used and most loved palette, I knew this would be a good investment. The first thing that drew me in was the gorgeous packaging. 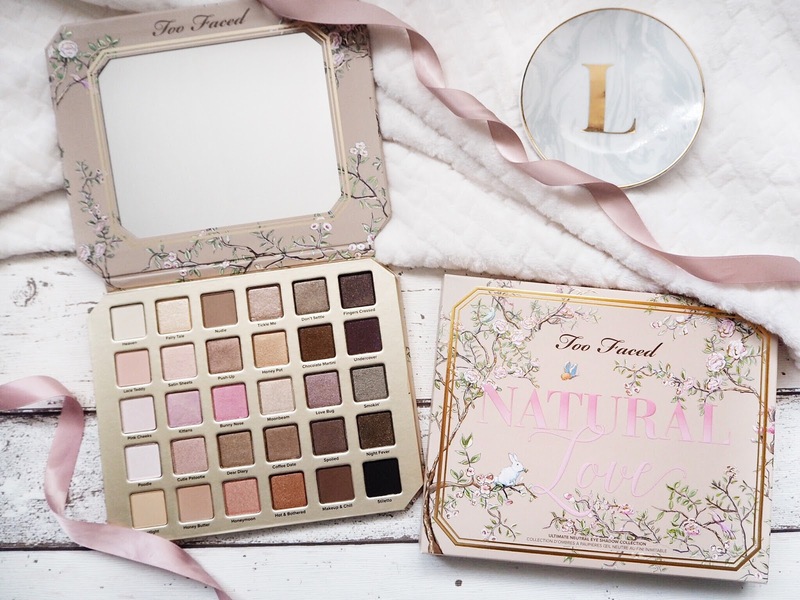 With a theme of pretty pink on gold, cute flowers and adorable creatures such as bunnies and birds, the Natural Love palette is definitely now the prettiest palette in my ever growing collection. When I first got it I just kept getting it out the box and staring at it (before I could take swatch snaps), it's just so pretty. Getting on to pigment, as usual, it blew me away! 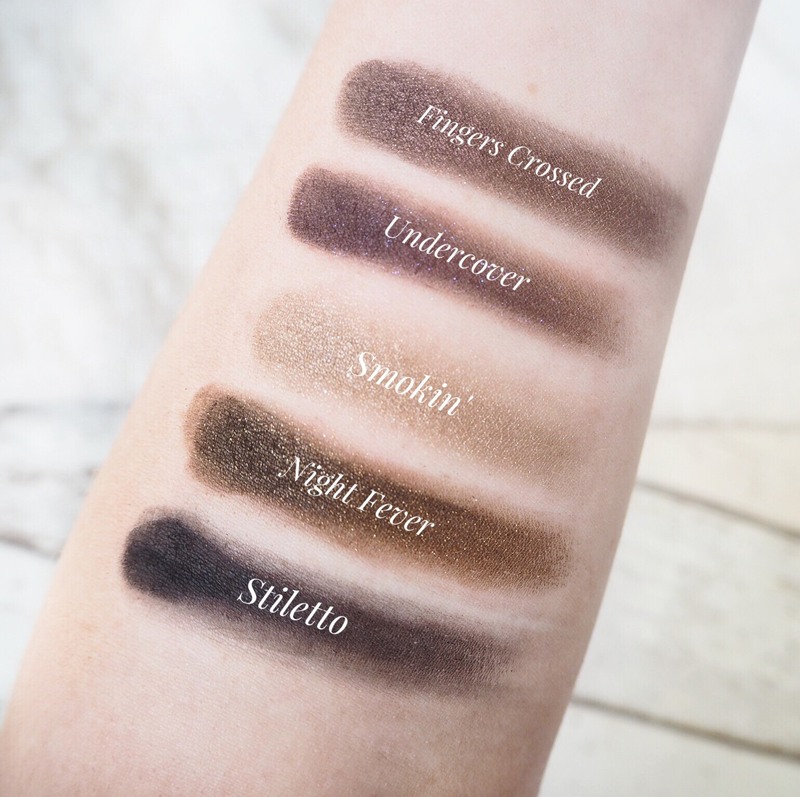 There are a few shades that are more pigmented than others, but it's nothing that isn't build-able and every colour is stunning as you can see from the swatches below. 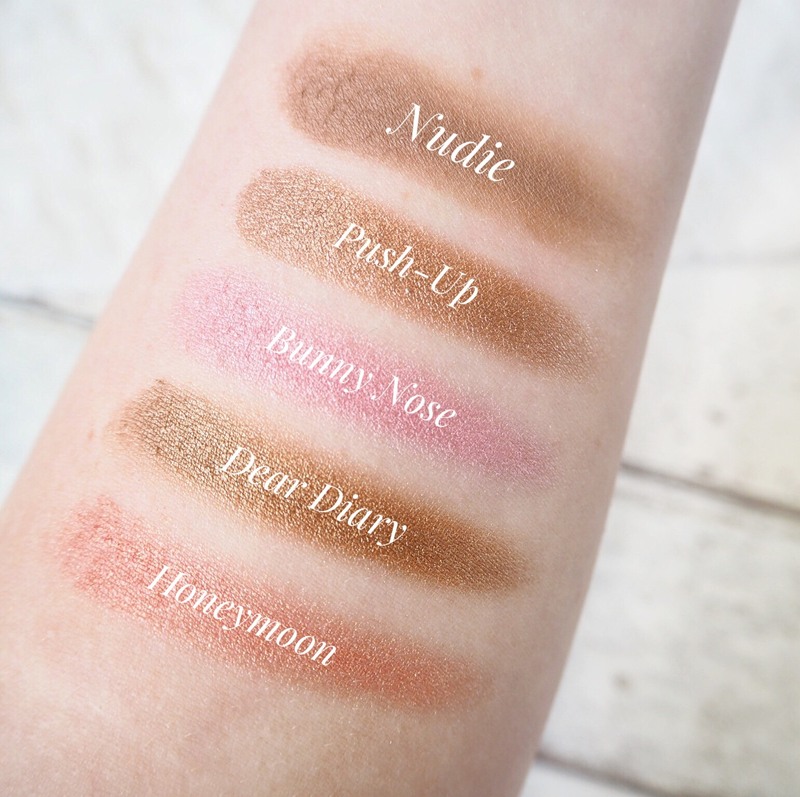 My favourite shades are Poodle, Fairy Tale, Cutie Patootie, Push-Up, Bunny Nose, Dear Diary, Tickle Me, Honey Pot, Moonbeam, Coffee Date, Hot & Bothered, Love bug and Spoiled. 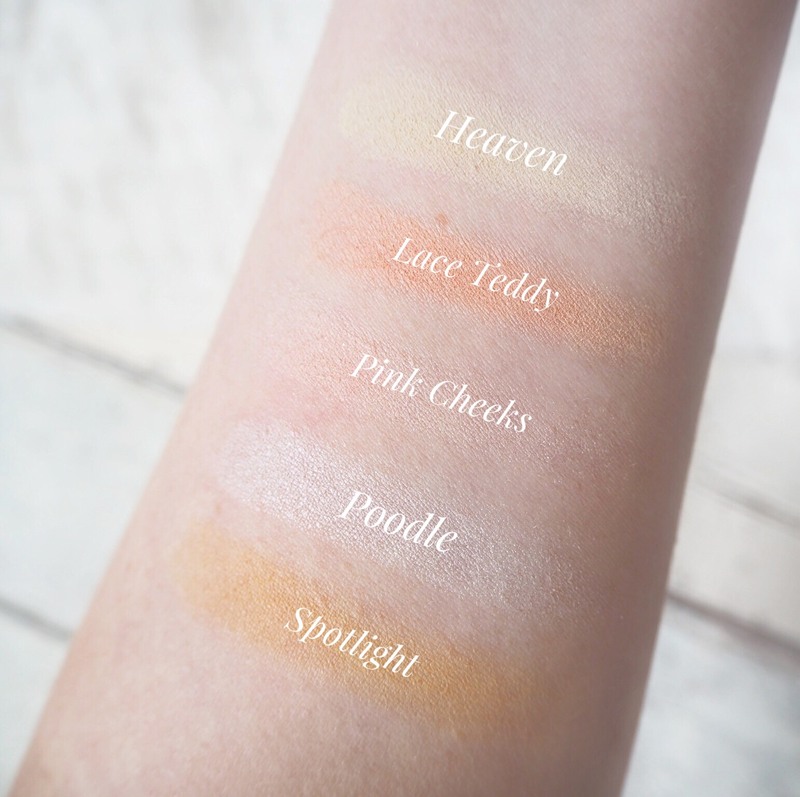 Some of the shades really surprised me whilst swatching so make sure you have a swatch of this dream if you get the chance! Although it retails at a high end price of £52, I think it's so worth it. 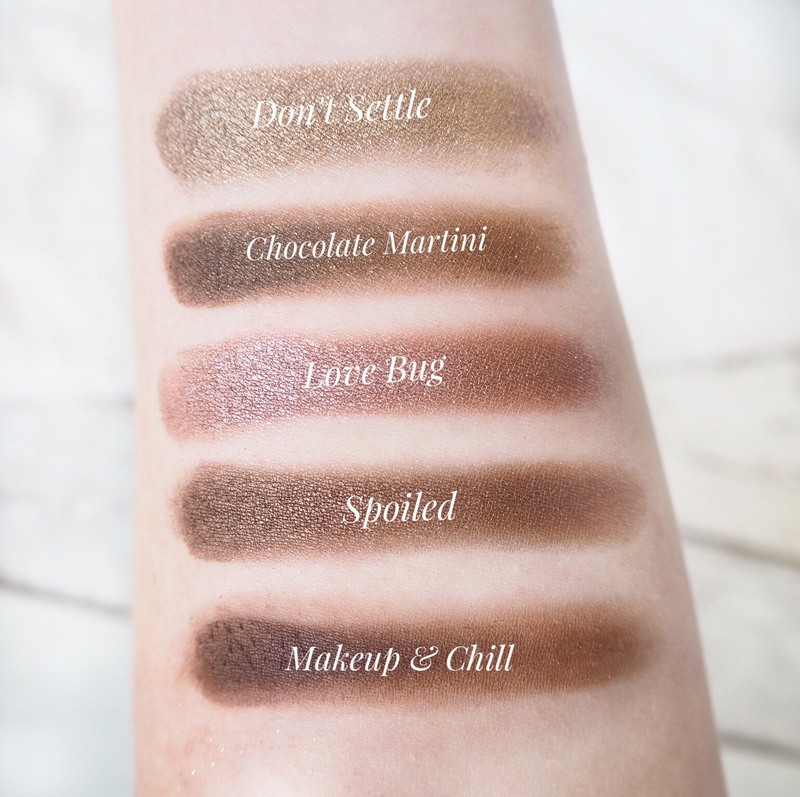 Too Faced eyeshadows are so high in quality and so pigmented that you know you'll get amazing results. 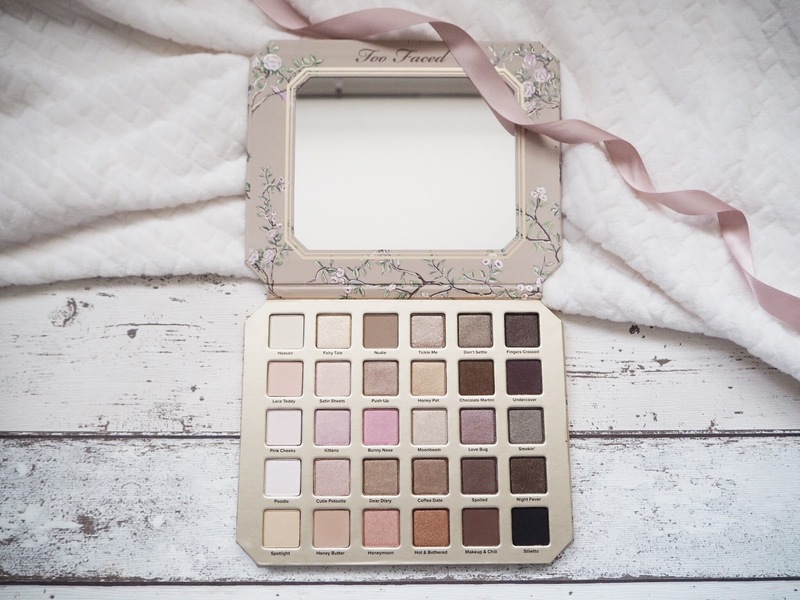 The palette also contains 30 gorgeous shades which includes 7 matte, 13 shimmer and 10 sparkle shades so Natural Love really does have it all with a wide range of finishes and colours, meaning you could create endless looks with it! You also get a little booklet with it with suggested eye looks and combinations which is something I love that Too Faced do! 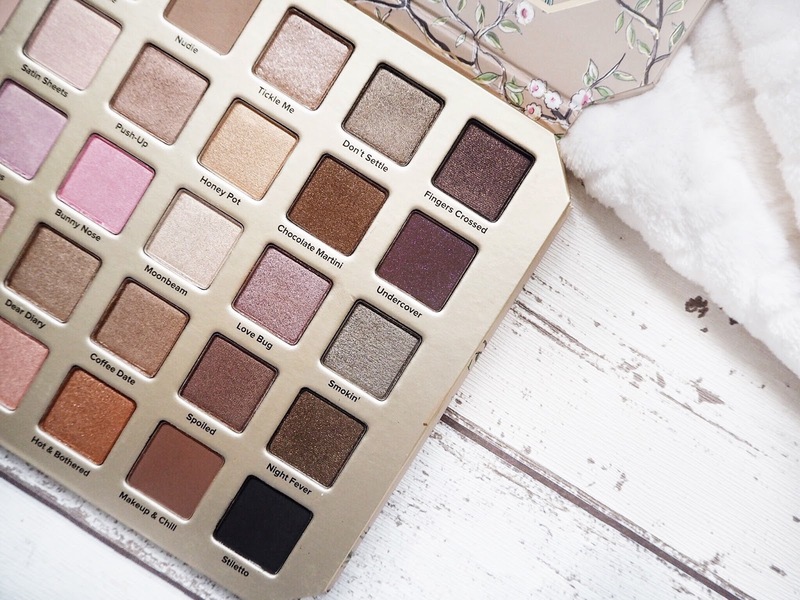 I'm heading to a Blogging event tomorrow and can't wait to create my first look with this palette, although it's going to be very hard to choose which shades to use! 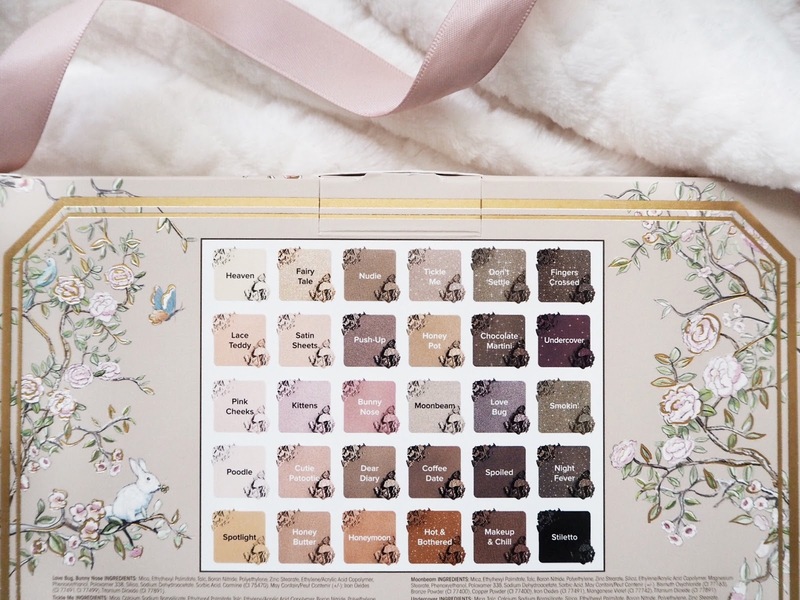 What's your favourite shade from this palette? 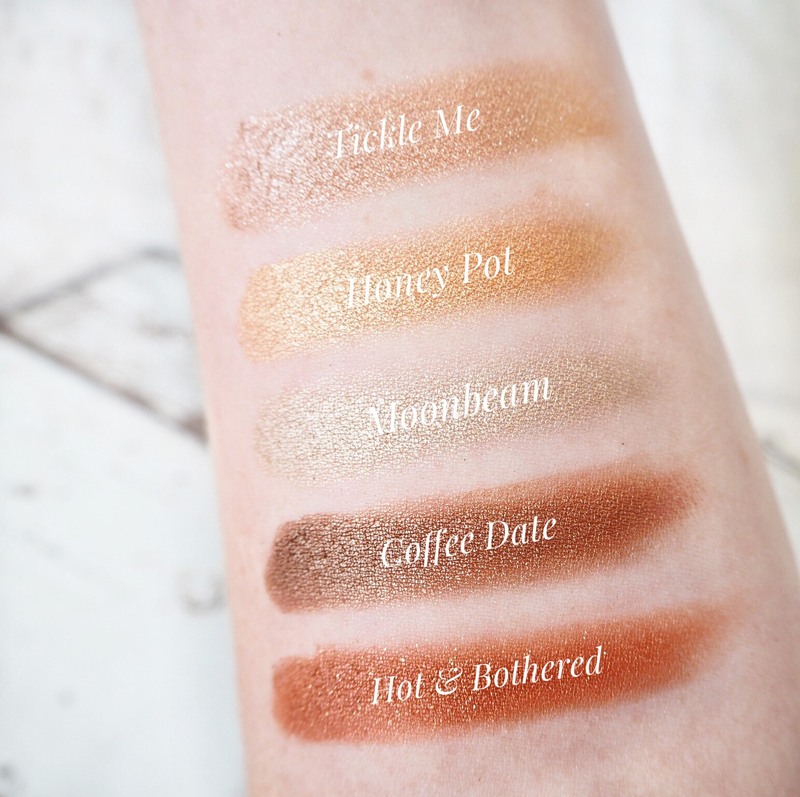 These are great swatches and lovely photos! 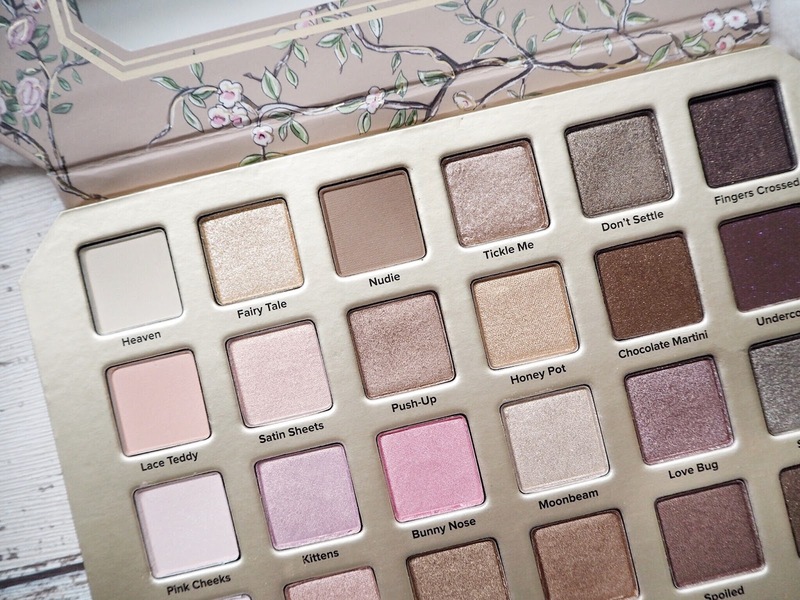 I think this palette looks so pretty! Although I know it won't suit my skin tone, I just love looking at it. I'm looking forward to seeing what looks people create with it. 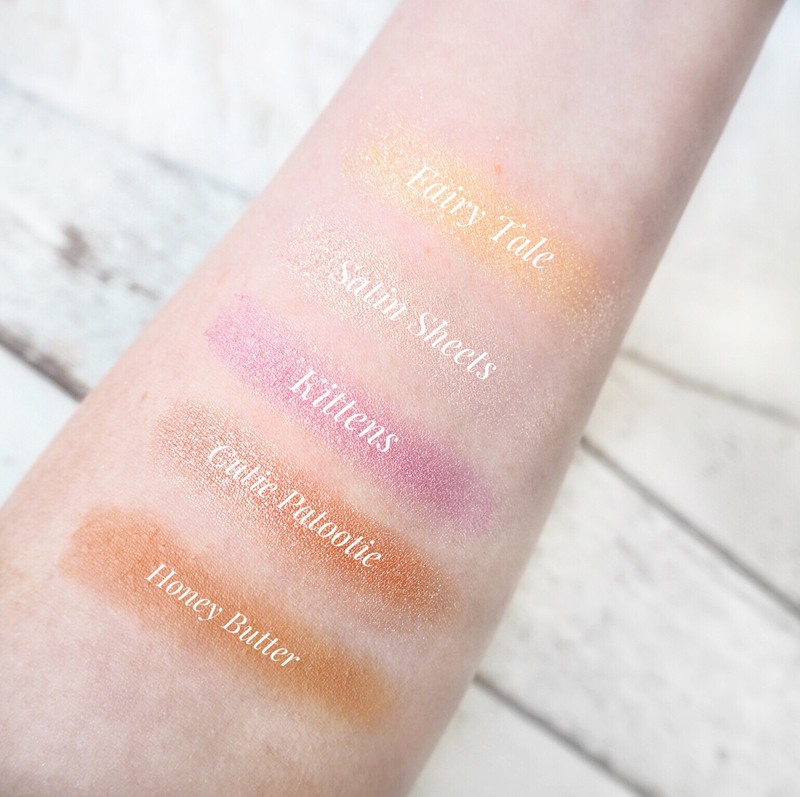 Looks like such a dreamy palette - the photos are also dreamy! 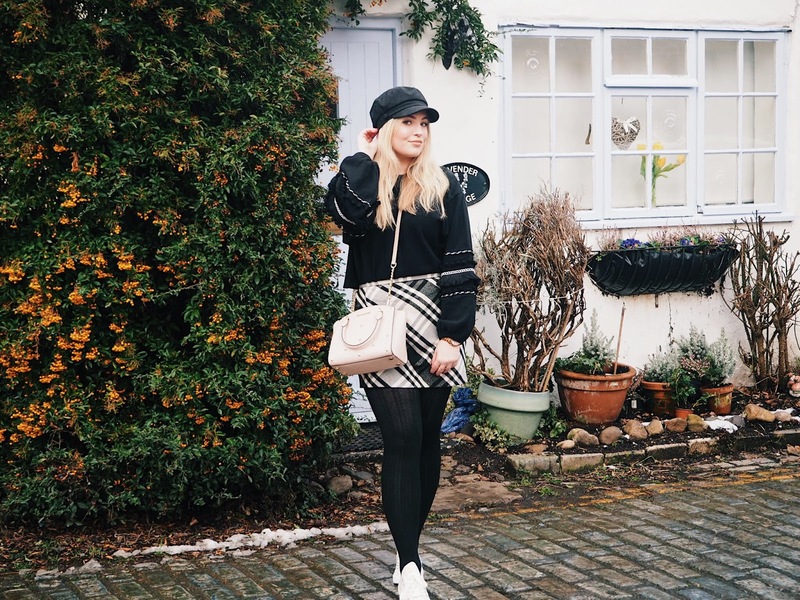 Thank you for all the fab swatches! 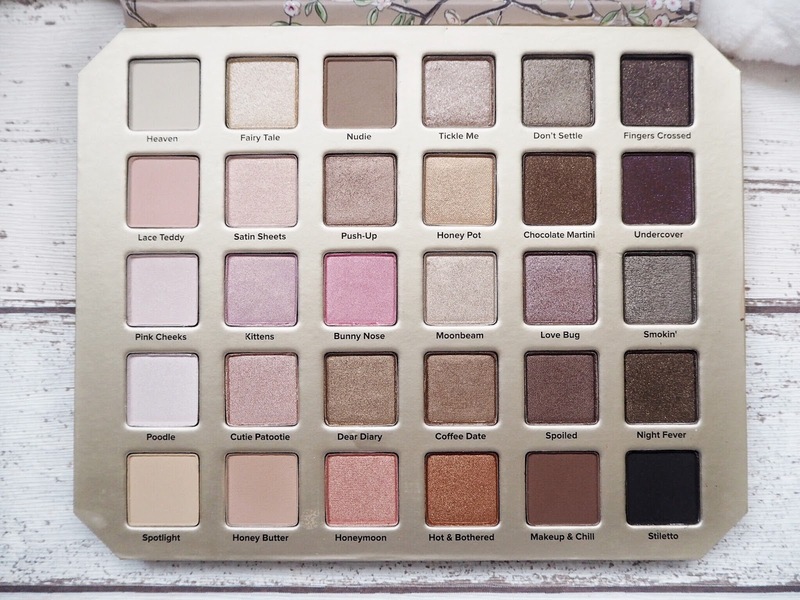 I want this palette so badly! This will probably end up being the next thing I save for. 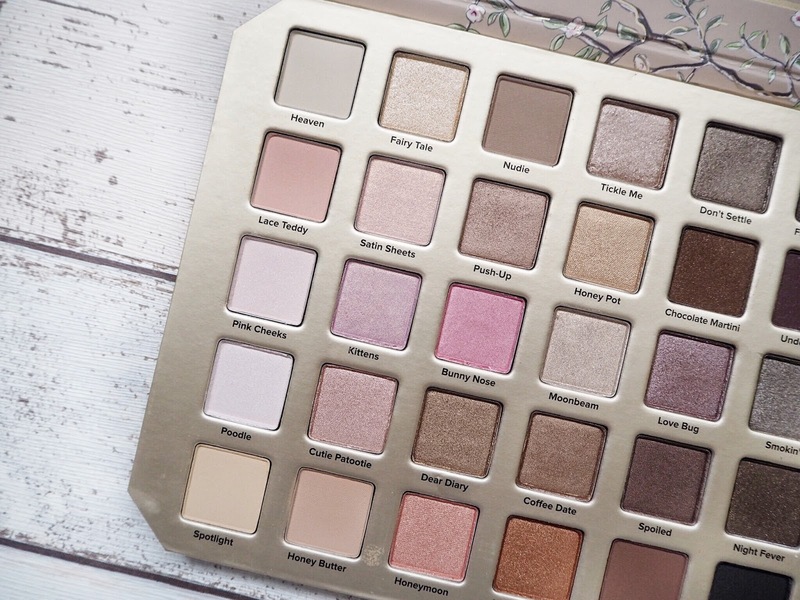 That palette looks so so amazing!! At payday i need to buy it! !